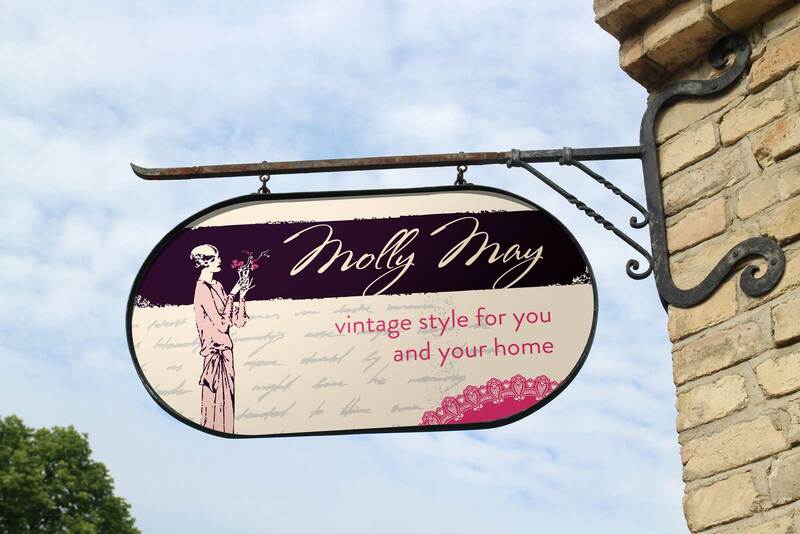 Molly May offers vintage style for your home. Their small shop sells a range of items from hand made gifts and cards to professionally restored vintage furniture. 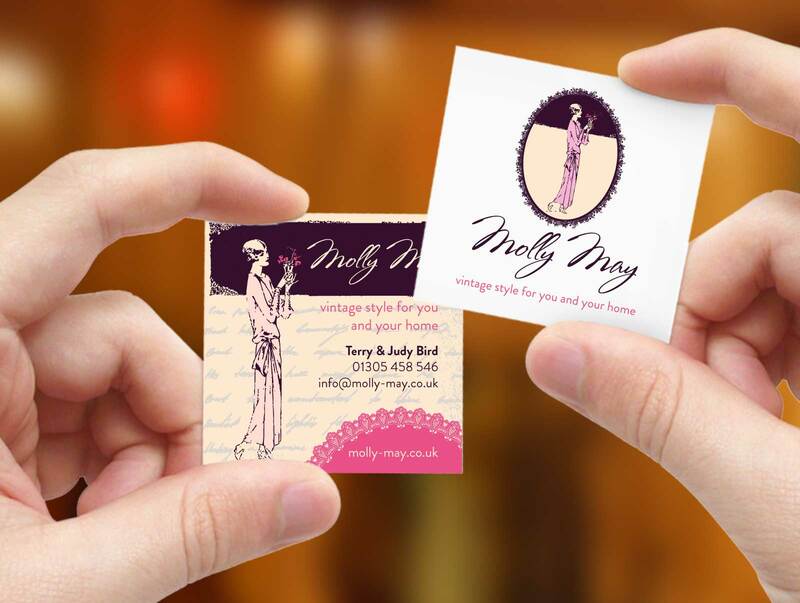 Yellow Cat Design created a vintage style identity to fit the style of the beautiful items that Molly May produce.